You will find below the horoscope of Pascal Quintin with his interactive chart, an excerpt of his astrological portrait and his planetary dominants. If you know the time of birth of Pascal Quintin, we would appreciate it if you would send us your information with your source, at stars@astrotheme.com. To thank you for contributing to the enhancement of our astrological database, we shall be glad to send you the astrological portrait (34 pages) of this celebrity. Horoscopes having the same aspect Mercury sextile Saturn (orb 0°12'): Cameron Diaz, Penélope Cruz, Mel Gibson, Emma Stone, Meghan, Duchess of Sussex, Jessica Simpson, Charles, Prince of Wales, Rocco Siffredi, Jennifer Garner, Paul Newman, Eva Green, Carmen Electra... Find all the celebrities having this aspect. Horoscopes having the same aspect Sun trine Mars (orb 1°36'): Kurt Cobain, Tom Hanks, Mark Wahlberg, Johann Sebastian Bach, Bill Cosby, Benicio Del Toro, Stevie Wonder, David Gilmour, Johann von Goethe, Eugène Ionesco, Andrea Bocelli, Elle MacPherson... Find all the celebrities having this aspect. Celebrities born the same day: Alain Delon, Gordon Ramsay, Florence Foresti, Tara Reid, SZA (singer), Zara Whites, Nayantara, Stéphane Audran, Jack Osbourne, Jayne Marie Mansfield, Courtney Thorne-Smith, Margaret Mitchell... List of all the celebrities born on November 8. 55,651 people and events, out of which 23,757 entries with a known time of birth. Celebrities clicked on in real-time: 577,422,231 times. Benevolent, altruistic, and tactful character. Life is dedicated to the alleviation of other people's sufferings. This degree sometimes describes a patron who protects artists or funds philanthropic organisations. The natal chart indicates what really lies beneath such generosity, and whether one is motivated by self-interests, or on the contrary, by a genuine spirit of universal fraternity. Venus describes your affective life. On the day of your birth, she is found in Sagittarius. Emotion is always a form of discovery or exploration. Your feelings unfold with unfailing ardour. There is in you a quest of the unknown and an intense thirst for new sensations. A lasting relationship must be enriching, amazing and unpredictable. Love is such an adventure! The partner is constantly to be discovered and passion is to be revived through new-ness, foreign matters and people. Nothing can enlarge your horizon and give your life a new momentum and a new meaning better than your relationships. Everything becomes possible for two persons together: evasion, travelling and discovery. Your fieriness and your enthusiasm work wonders when your ideals are shared. You cannot love without enthusiasm, fieriness and the desire to discover. Therefore, you cannot be satisfied with a still, or perfect, relationship: evolution, again and again, is the key to your affective balance. Your thirst for experiences may be detrimental to your couple if it is too conniving… What remains to be discovered when the two partners know themselves too well, when all secrets are mutually shared? More than anyone, however, you find new reasons to share, to harness your resources and to fuel your love. Reckless, extravagant, and coward character. One is unable to manage one's destiny properly because one is only concerned with superficial pleasures and external appearances. The lavish lifestyle one enjoys is beyond one's means and may bring about big financial losses. Should the natal chart concur, there is a danger of poisoning through gas, chemical substances, and narcotics. Wise, ambitious, and subtle character endowed with numerous intellectual, physical, and moral qualities. Owing to one's sharp intuition and excellent education, one is capable of achieving success, fame, and wealth in nearly any field, be it diplomacy, science, law, civil service, literature, etc. There are few enemies only, and none of them is able to thwart one's projects. Whatever path one chooses, this degree indicates a brilliant life blessed with good luck and happiness. Pascal Quintin, born November 8, 1960 in Lamballe, is a French skipper. Disclaimer: these short excerpts of astrological charts are computer processed. They are, by no means, of a personal nature. This principle is valid for the 55,651 celebrities included in our database. These texts provide the meanings of planets, or combination of planets, in signs and in houses, as well as the interpretations of planetary dominants in line with modern Western astrology rules. 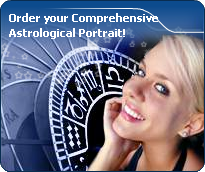 Moreover, since Astrotheme is not a polemic website, no negative aspect which may damage the good reputation of a celebrity is posted here, unlike in the comprehensive astrological portrait. Here are some character traits from Pascal Quintin's birth chart. This description is far from being comprehensive but it can shed light on his/her personality, which is still interesting for professional astrologers or astrology lovers. In a matter of minutes, you can get at your email address your astrological portrait (approximately 32 pages), a much more comprehensive report than this portrait of Pascal Quintin. Warning: when the birth time is unknown, which is the case for Pascal Quintin, a few paragraphs become irrelevant; distributions in hemispheres and quadrants are meaningless, so are dominant houses and houses' accentuations. Therefore, some chapters are removed from this part. The predominance of Water signs indicates high sensitivity and elevation through feelings, Pascal Quintin. Your heart and your emotions are your driving forces, and you can't do anything on Earth if you don't feel a strong affective charge (as a matter of fact, the word "feeling" is essential in your psychology). You need to love in order to understand, and to feel in order to take action, which causes a certain vulnerability which you should fight against. Like the majority of Earth signs, Pascal Quintin, you are efficient, concrete and not too emotional. What matters to you is what you see: you judge the tree by its fruits. Your ideas keep changing, words disappear, but actions and their consequences are visible and remain. Express your sensitivity, even if it means revealing your vulnerability. Emotions, energy and communication must not be neglected; concrete action is meaningless if it is not justified by your heart, your intellect or your enthusiasm. Pascal Quintin, the Cardinal mode is dominant here and indicates a predisposition to action, and more exactly, to impulsion and to undertake: you are very keen to implement the plans you have in mind, to get things going and to create them. This is the most important aspect that inspires enthusiasm and adrenalin in you, without which you can grow weary rapidly. You are individualistic (maybe too much?) and assertive. You let others strengthen and improve the constructions which you built with fervour. The three most important planets in your chart are the Moon, Saturn and Pluto. In your natal chart, the three most important signs - according to criteria mentioned above - are in decreasing order of strength Cancer, Scorpio and Capricorn. In general, these signs are important because your Ascendant or your Sun is located there. But this is not always the case: there may be a cluster of planets, or a planet may be near an angle other than the Midheaven or Ascendant. It may also be because two or three planets are considered to be very active because they form numerous aspects from these signs. After this paragraph about dominant planets, of Pascal Quintin, here are the character traits that you must read more carefully than the previous texts since they are very specific: the texts about dominant planets only give background information about the personality and remain quite general: they emphasize or, on the contrary, mitigate different particularities or facets of a personality. A human being is a complex whole and only bodies of texts can attempt to successfully figure out all the finer points. Affectivity and intuition are very developed, Pascal Quintin, and you are very sensitive to your environment. You “feel” atmospheres, moods and other people's emotions and when you capture negative influences, a feeling of ill-being immediately overwhelms you, all the more so because your lively imagination may destabilize you as it amplifies your receptiveness. Your nature is anxious and you tend to worry for your entourage. You strive to offer them a reassuring family atmosphere, the much needed comforting and warm sort of cocoon where you can laze around, at will. Because you care so much for your family, they may think that you are intrusive and that you try to rule their life through subtle affective blackmail. Trust them... and also learn to have more confidence in yourself! You are the very type of the researcher endowed with great intellectual and imaginative capacities, Pascal Quintin, and your curiosity is very deep. Researches, riddles and mysteries appeal to you and with a remarkable sixth sense and intuition, you endlessly try to unearth the truth, in all areas, like a psychoanalyst or a detective. You are a very secretive and introverted person, you find it difficult to open up and you rather prefer psychoanalysis. In spite of your clear-sightedness, you find it hard to deal with people: your critical mind, tinted with irony and causticity, may be destructive, especially since your determination and your stubbornness do not incline you to giving up. You are fond of provocations and you handle contradictions skilfully even though you may come across as dishonest. In your chart, the Sun is in Scorpio and Venus, in Sagittarius. This configuration marks an affectivity made of fire and flames and a passionate temperament. The enthusiasm of Venus in Sagittarius, ready to be filled with wonder, responds to the extremism of the Sun in Scorpio, for whom emotions are intense and enlarged. This duet finds its perfect balance only through an enriching relationship that includes a great deal of unforeseen elements and thrilling sensations. You do not accept that you couple gets bogged down in unchanging habits. You can sacrifice a comfortable and reassuring amorous routine when it is necessary to give a new momentum to your life. It is impossible to get bored in your company because moments of excitement are so frequent and your desire to discover, so vivid. You often show a wonderful enthusiasm without abandoning your peculiarities: in all circumstances, you keep your own style. Your partner must understand and support your infatuations. For you, a lasting relationship is necessarily warm, passionate, full of unforeseen events and potentialities. On the affective plane, Pascal Quintin, you are open, straightforward, spontaneous and you make friends easily because your enthusiasm is expressed jovially, directly and is respectful of well-established moral values. In some cases, you may be opposed to your natal environment or to your family because of your taste for freedom, exoticism or all forms of independence and emancipation. Your feelings are burning and you often get carried away quickly. However, your ability to make friends easily is likely to favour some instability; in order words, faithfulness is not your top priority as long as you have not yet found your soul mate. Ideally, for you, life together must have some degree of mobility and include travels and fresh air. Within your relationship, you need to feel freedom and independence, which you need since your childhood. Under such conditions, harmony and faithfulness can be achieved. It is difficult to find a more sensitive person than you, Pascal Quintin. You are able to contain your aggressiveness and it may be hard for you to exteriorize your feelings. You are usually passive and you draw your strength from inertia and resistance more than from the will to take action. Your mood is changing, you show little of yourself and you may surprise with your inopportune reactions that come late, when people have forgotten what it was all about. The only area where you express yourself with zeal and where your actions are successful is the area of home or, more symbolically, in the fields where you can achieve security. In other words, you need to feel comfortable before you can move, in concrete matters as well as in sexuality. This text is only an excerpt from of Pascal Quintin's portrait. We hope that it will arouse your curiosity, and that it will prompt you to deepen your knowledge of astrology, as well as to visit and use the wide range of free applications at www.astrotheme.com. Your Life Path is influenced by the number 8, Pascal, which indicates that your destiny hinges on financial successes, material undertakings, and power seizing. It is a path full of successes and failures, fortune and reversals of fortune. You must strive to control your thirst for material goods, and try to practice tolerance. Great achievements are possible if you choose a career in any sort of trade or business. This is how your qualities are likely to be best expressed: management abilities and above-average commercial sense. Traditionally, the number 8 is believed to favour material and financial matters such as asset management, investments, commercial negotiations, as well as social power. All these elements are most likely to be found at the centre of your life. Your thirst for power, added to some degree of bad luck, constitutes one of the major hurdles blocking your way. However, your determination, added to a deep spirit of conciliation, turns the number 8 into a very fulfilling one, that of extraordinary successes.